Thrift City is super excited to announce the launch of our new loyalty program – TC Rewards! 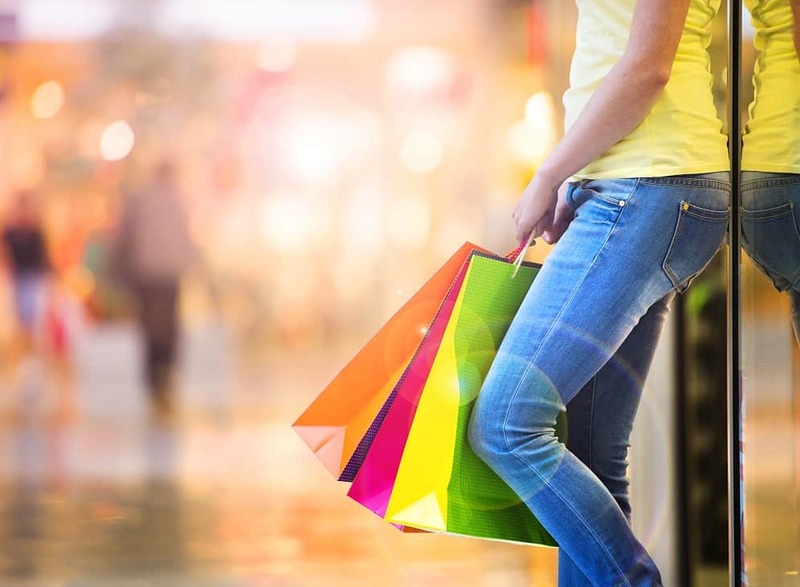 Whether you are a newbie thrifter or a loyal customer, we want to provide a bona fide loyalty program tailored to all fashionistas out there. Receive offers and exclusive deals, and earn REAL points toward all your thrifty purchases. Redeem your points for bonuses equivalent to deep discounts at all store locations. We don’t believe in making our customers jump through hoops to earn points. Just by completing your member profile, you get 2,000 points! That’s $4 just for signing up! AND when you use your TC Rewards card for the first time, we are going to give you an additional $2. For every 500 points you earn = $1 off your next purchase. Plain and simple. No gimmicks and no games. Signing up for TC Rewards is fast and simple. It only takes a few minutes to get started, and we have provided two ways to get you earning points quickly! The first option – the Member Portal. All you have to do is visit the Member Portal and sign up! Complete your profile by entering your first name, last name, zip code and verified e-mail address. From the portal, you can manage your profile, manage all cards, check your points balance and much more! Just like the portal, customers can also manage their TC Rewards profile, cards and/or digital card directly from the mobile app. 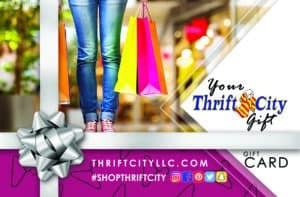 Download the “Thrift City” app from either the Apple Store or the Google Play Store and start earning points! Forgot to bring the card when shopping? Just make sure to present your digital card from your device to receive your points. AND . . . if that’s not convenient enough . . . offer the telephone number associated with your member profile, and you still receive points for your purchase! Retail Therapy from Your Phone! 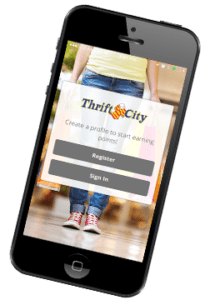 Download the Thrift City mobile app from either the Apple Store or the Google Play Store to receive offers and deals via your fingertips! With TC Rewards, watch the points just add up and your discounts too! Whether you are saying thank you to a fellow thrifter or have a special occasion coming up – give them a TC Gift Card! Cards can be purchased at check out at all locations. Plus, they can be reloaded and never expire! Forgot the balance on your card? No problem! Visit our Check Your Balance site to keep up-to-date on your card. Have questions, comments or feedback? E-mail tcrewards@thriftcityllc.com to get help from one of our customer service representatives. At Thrift City, we pride ourselves on being your not-so-typical thrift store for all your thrifty styles. From women's, men's to kid's fashion, we have your thrift-store finds for the whole family!